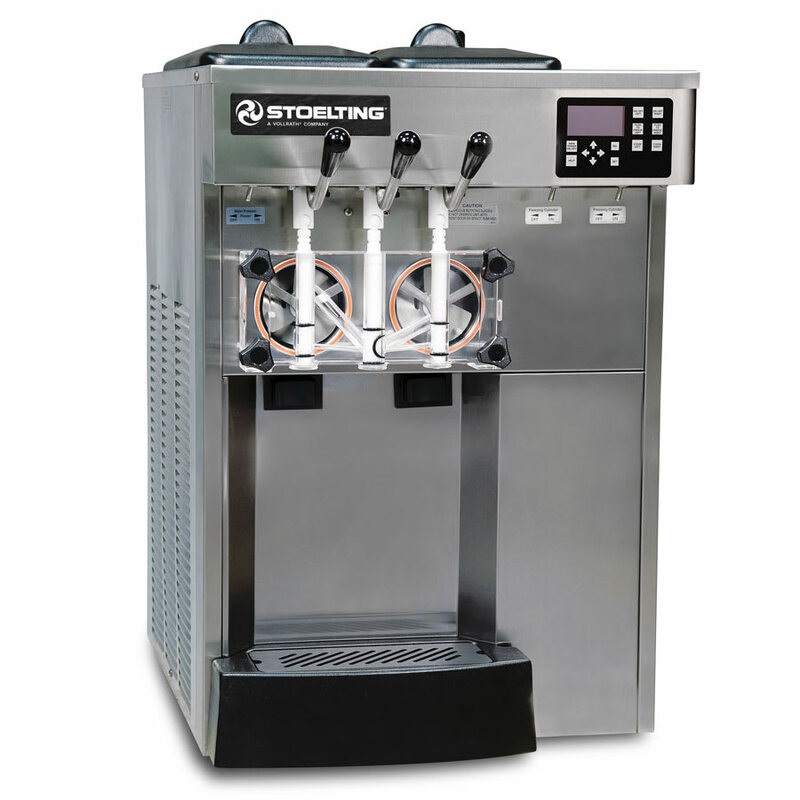 The Stoelting E131-38I2 twin soft serve machine is compact enough to easily fit and be used on countertops. Soft serve and frozen yogurt have never been easier to serve. IntelliTec2™ Control keeps product from becoming over agitated during slow and no-draw periods. A clear door provides a merchandising opportunity since customers can see product before it is dispensed. With the twin capacity, you can serve two different flavors and mix them together with the twist dispenser. There are two 3-gallon hoppers and two 0.65-gallon freezing cylinders that hold and freeze product. An auger in the freezing cylinder gently churns product with plastic blades for a creamy product. The two spigots are self-closing to prevent waste and messes while creating portion control. 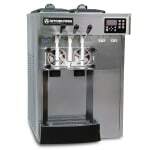 You can control how quickly product is dispensed from the Stoelting E131-38I2 twin soft serve machine. Once you purchase this machine, you have the opportunity to use the Stoelting White Glove Service. A sales professional and technician will come to your establishment and show you how to properly clean and use the machine. If you need any other information, like warranty or parts, technical service, on-site dispatch, and more, you can call Stoelting's hotline at 1-800-319-9549, which is open 24 hours a day, seven days a week, all year.